I’ve been a fan of the Philadelphia Phillies since the mid to late 90’s. That’s when I began to follow baseball. Before that, I played a little t-ball and had a small shoe box full of cards, but really didn’t pay that much attention to the sport. All of a sudden, one weekend morning I decided to pull that shoe box out of my closet. Despite not having anything major, all of that 1992 Topps and 1992 Topps Stadium Club must have turned my brain on to something because I’ve been involved in this hobby ever since. After I discovered eBay, things reached a whole new level. Some collectors have bubble mailers stuffed in their mailbox everyday. That certainly isn’t me. I’m extremely picky when it comes to adding a new card to my collection. There is so much out there it can be overwhelming. The nonstop buying can easily get expensive too. When it came time to choose a Philly I wanted to collect, there were lots of players to pick from. All had tons of cards. But I didn’t want a never ending flow of cards pouring in. That can get old after awhile. I wanted a challenge. So I settled on former Phillies broadcaster Harry Kalas. As long as I’ve watched the Phillies, they’ve always had a fantastic broadcast team. Right now the team consists of Tom McCarthy, Ben Davis, John Kruk, and Greg Murphy. On weekend home games Mike Schmidt joins the fun. Viewers are well informed about the game, while the broadcasters are cracking jokes and poking fun at each other the whole time. I think its one of the top broadcast teams in all of baseball. The Yankees, Pirates, and Mets are televised in my area, and I find their broadcasts to be quite boring. Nothing compares to the show the Phillies put on. Its not very often I get to add a Harry Kalas card to my collection. He has such a minimal amount of them. 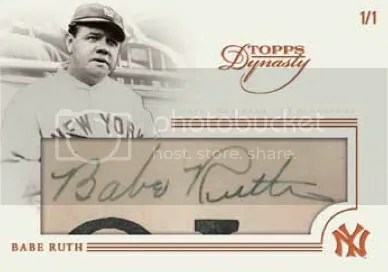 In December 2016 I was alerted to the whereabouts of one of his rarest cards – 2005 Upper Deck Sweet Spot Classic Signatures Black Stitch Auto #’ed 1/1. I thought for sure this card was still sitting in a sealed box. Even though the seller, who originally pulled the card, received higher offers for it chose to accept my offer since he knew it was going into my Harry Kalas collection. Thank you very much! And here it is. The last Harry Kalas Sweet Spot card I needed. This card was made when Upper Deck used real baseball leather and not that manufactured stuff. Into the safe it goes. I think it was meant to be. I bought this card on April 13th, which was the ninth anniversary of his death. Of those three, I believe the 2012 Sportkings Series E Sketch Card Premium Back Redemption #’ed 1/1 will be the most difficult to locate. 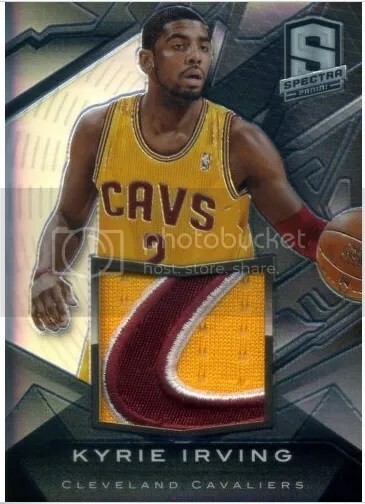 That card was only available to those people who collected enough base cards with letters on the back to spell out the word “SPORTKINGS” twice. In June of 2013 this redemption program expired. I’ve only seen one of these cards surface, and it was of Phil Rizzuto. Recently, I contacted Dr. Brian Price who at the time had the rights to use the Sportkings name in hope that I might get some info on it. According to him, all of the records pertaining to that program are long gone. There is no way of knowing which cards were redeemed before the deadline. In addition to that, who knows what happened when Leaf took over the Sportkings brand a few years later. It could be residing in someone’s collection right now. It also could have been trashed. I don’t see Harry Kalas showing up in any upcoming sets. In July, Topps plans to release Big League Baseball which is suppose to contain an insert titled Ballpark Landmarks. Its possible a card featuring the Harry Kalas statue that is on display at Citizens Bank Park could sneak in there. That’s a long shot though. SAGE’s Sportkings is another possibility too. 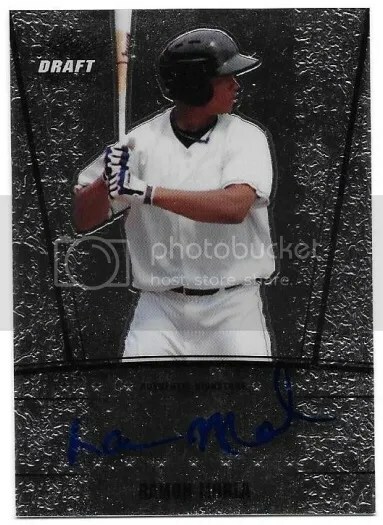 Congrats to dawgbones on being the lucky winner of the Ramon Morla 2011 Leaf Metal Draft Baseball Auto. Once dawgbones sends me their mailing address, I will ship this card ASAP. Thanks! 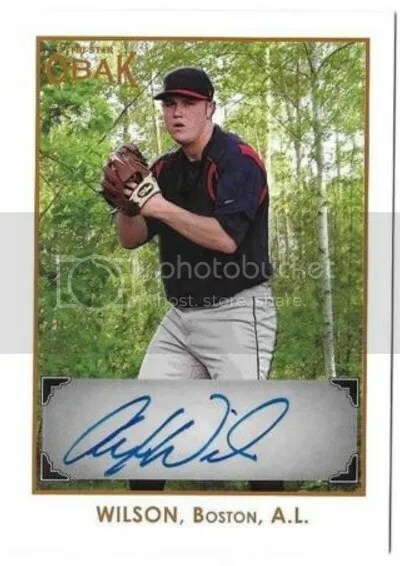 Congrats to Grant Lee on being the lucky winner of the Alex Wilson 2011 TRI-STAR Obak Red Parallel Auto #’ed/50. Once Grant Lee sends me their mailing address, I will ship this card ASAP. Thanks! 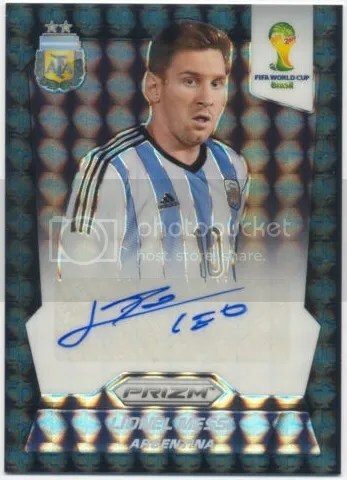 As good as these cards look, Topps better have something up their sleeve if they want collectors to spend $1,000 for five mini-boxes. Low-numbered autographs and relics just won’t cut it.